Go to any Barnes & Noble store, or spend a few minutes browsing on Amazon, and you’ll quickly find dozens of books purporting to help you become a better writer. Several of us in U of R’s University Communications group are working writers and editors, so our skepticism about writing advice tends to run high. If you want to be a better writer, our advice is to start writing, and keep writing, and share your writing with others to see if it’s doing what you want it to do. Equally important, become an avid reader, seeking out good writing wherever you can find it. Nothing will enrich your vocabulary, hone your imagery and get you thinking about structure and narrative more effectively. Having said that, a few books do stand out as worthwhile reads for the would-be writer. This book is one of our favorites. Lamott, who has written several novels, as well as mostly autobiographical nonfiction, is humorous, honest, and thought provoking. “Almost all good writing begins with terrible first efforts. You need to start somewhere,” writes Lamott, and her enjoyable little tome covers everything from bad first drafts to plot, dialogue, and the perils of perfectionism. When it comes to beautiful prose, stunningly accurate and nuanced descriptions, and perfect pacing, Annie Dillard is hard to beat. We’d recommend reading anything by this consummate American author, whose most well-known novel is Pilgrim at Tinker Creek. Dillard’s grasp of the language and her ability to shape and craft it in her poems, novels, and nonfiction never ceases to amaze. The downside to reading Dillard is the possible realization that you will never be as good a writer. In The Writing Life Dillard shares some of her wisdom on what it takes to be a writer. A lifelong journalist, William Zinsser, who died in 2015, worked as a feature writer, drama editor, film critic, and editorial writer. A beloved and classic guide to writing nonfiction, On Writing Well is a warm, engaging book filled with good advice about the lead, the ending, the audience, the interview, the memoir, the travel article, and many other elements of writing. From one of the bestselling authors of all time, this memoir/masterclass gives wannabe scribes some of the fundamental tools of the craft mixed in with memories and reflections on his own life, including his near-fatal accident in 1999. 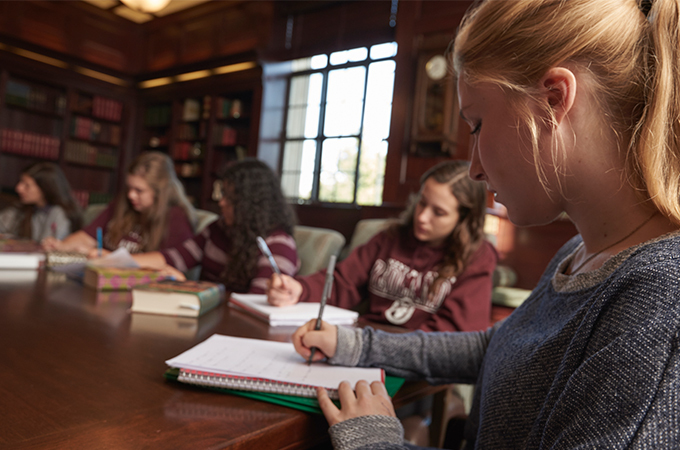 Reading, writing, and workshopping are key activities in the University of Redlands’ creative writing program, recently featured in Creative Colleges: Finding the Best Programs for Aspiring Actors, Artists, Designers, Dancers, Musicians, Writers, and More by Elaina Loveland, which provides a resource for college-bound students pursuing the creative arts. (In addition to the “Colleges for Writers” section, the University is listed under “Colleges for Actors” for its theatre, “Colleges for Artists & Designers” for its visual arts, and “Colleges for Musicians” for its School of Music.